„Polska 1944/45-1989. Studia i materiały” is published by the Institute of History. Since the volume thirteenth it appears as annals. "Poland 1944 / 45-1989. 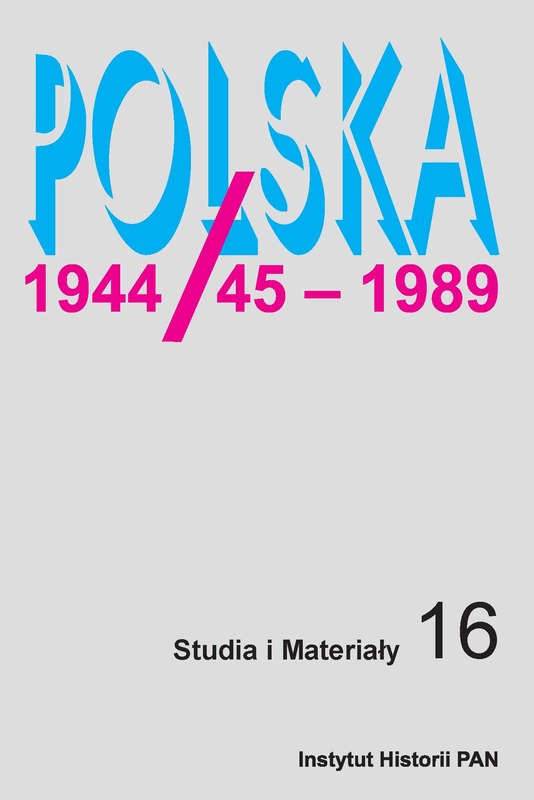 Studies and Materials "is one of the most recognizable and recognized periodicals dedicated to the history of post-war Poland. The first issue appeared in 1995 as a demand for the periodical dealing with the recent Polish history. It also alluded to seven-volume series "People's Poland. Materials and Studies "published in the years 1962-1968. In its twenty-year history in several volumes were published hundreds of scientific articles and sources. Editorial board was headed by prof. Krystyna Kersten, who was also the director of the Polish History after 1945 Section. The other members of the editorial board were: prof. Jerzy Eisler, prof. Dariusz Jarosz, prof. Henry Słabek and prof. Tomasz Szarota. Prof. Tomasz Szarota became the editor-in-chef since the volume six. The editorial committees is composed of outstanding foreign and polish researchers such as: Jędrzej Chumiński, Antoni Dudek, Andrzej Friszke, Paul Gradvhol, Padraic Kenney, Marcin Kula, Miklós Mitrovits, Andrzej Paczkowski, Anna Pelka, Dušan Segeš, Rafał Stobiecki, Bożena Szaynok, János Tischler, Marek Wierzbicki, Rafał Wnuk, Anna Wolf-Powęska, Wadim Wołobujew.